Wednesday’s practice session at the Isle of Man TT was un-timed due to adverse weather conditions around the TT course. Its the third day in a row that the wet weather has wreaked havoc with this years TT practice sessions. 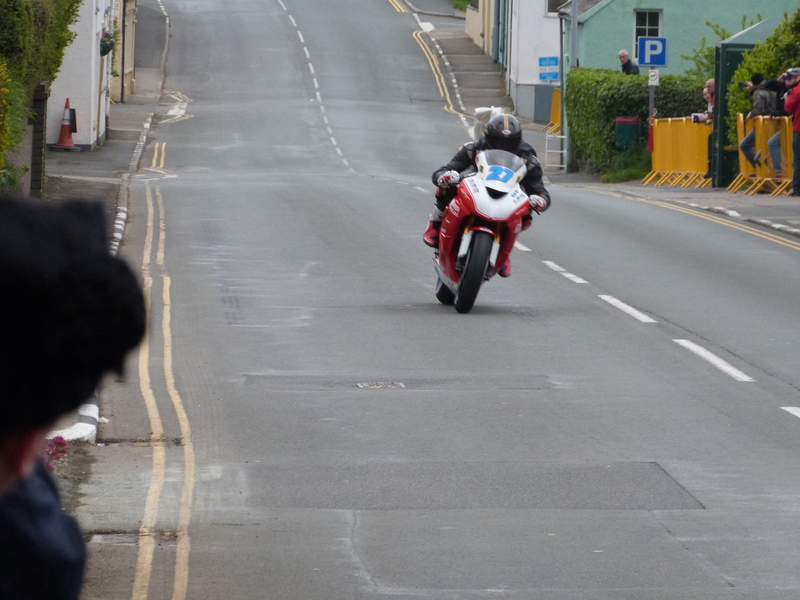 Tomorrow will hopefully see Thursday’s practice session which will see the superbikes, superstock, supersport, super-twin and sidecar bikes take to the TT course. Ryan Kneen flying through Kirk Michael during Wednesday nights adverse conditions.